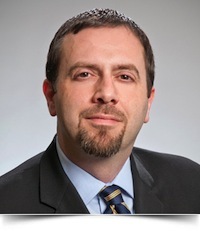 Daniel L. Fiore, Partner in the Firm’s Philadelphia Office, is a member of the Corporate & Business Services Group, where he concentrates his practice on business counseling, reorganizations, debt restructuring, regulatory compliance, mergers and acquisitions, franchising, and trademark and copyright law. Mr. Fiore represents franchise companies in structuring franchise offerings, disclosure law compliance, franchisee relationship matters, bankruptcy and commercial disputes, and day-to-day business counseling. He also has substantial experience in the buying and selling of businesses, structuring multiple owner relationships, loan documentation, and commercial contract drafting. Mr. Fiore has also handled the startup of numerous businesses and the relationship of their principals, employment contracts with executive officers and the structuring of business ownership and its transfer to successors. Additionally, Mr. Fiore serves as trademark counsel for private and public companies, prosecuting trademark applications before the United States Patent and Trademark Office and practicing before the Trademark Trial and Appeal Board. After graduating law school, Mr. Fiore served as a law clerk to the Honorable John D. McBride of the Court of Common Pleas of Beaver County, Pennsylvania. After completing his clerkship, he began private practice for a commercial law firm in Philadelphia, which specialized in counseling private enterprises.